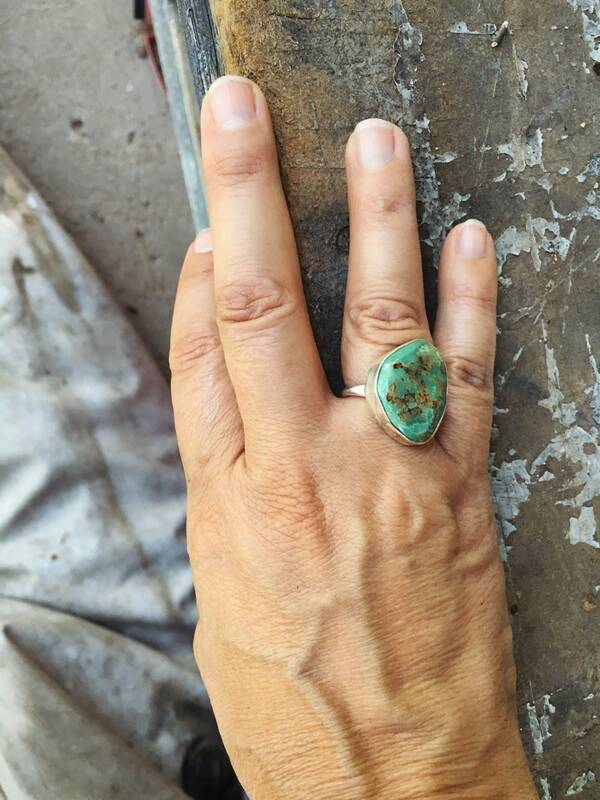 If you like a simple ring, clearly handmade and not very perfect, this is the piece for you. 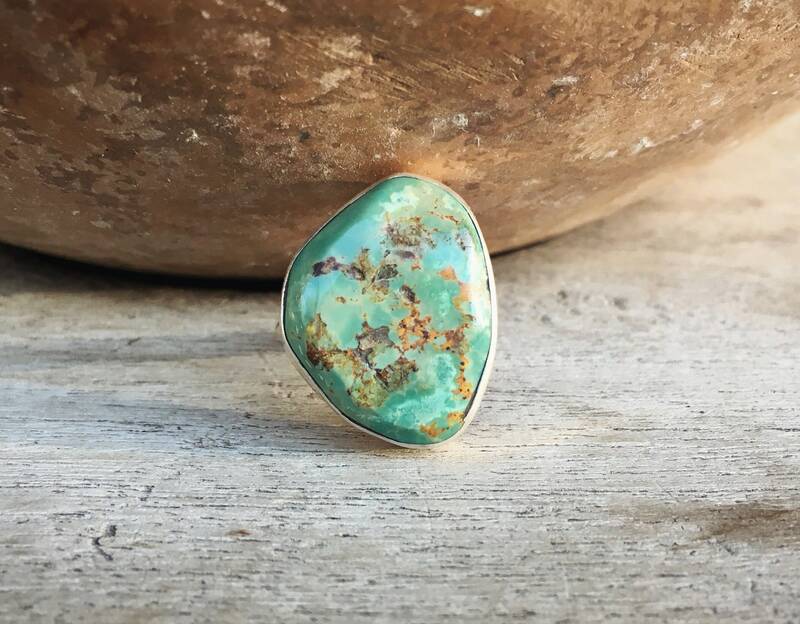 Somewhat thick and chunky with a gorgeous pieces of matrixed green turquoise from the Royston, Nevada area, it is an everyday piece that looks great alone or with other rings. 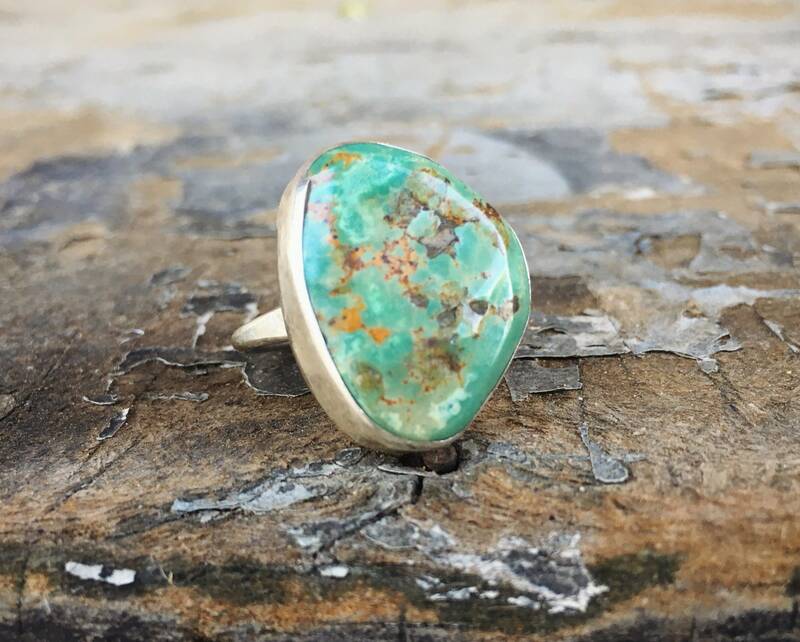 The turquoise has different shades of light green punctuated by veins of caramel colored matrix. Almost like looking down at a landscape from an airplane. 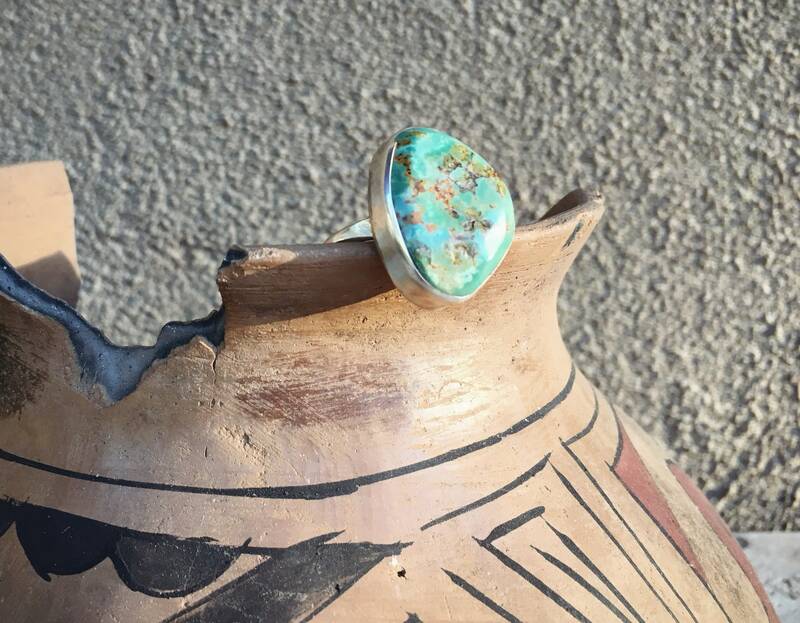 The cabochon is polished, and there are what appear to be scratches on the surface although I believe they are areas where the veins are not able to buff to the same high polish as the stone. Stamped on the back STERLING. 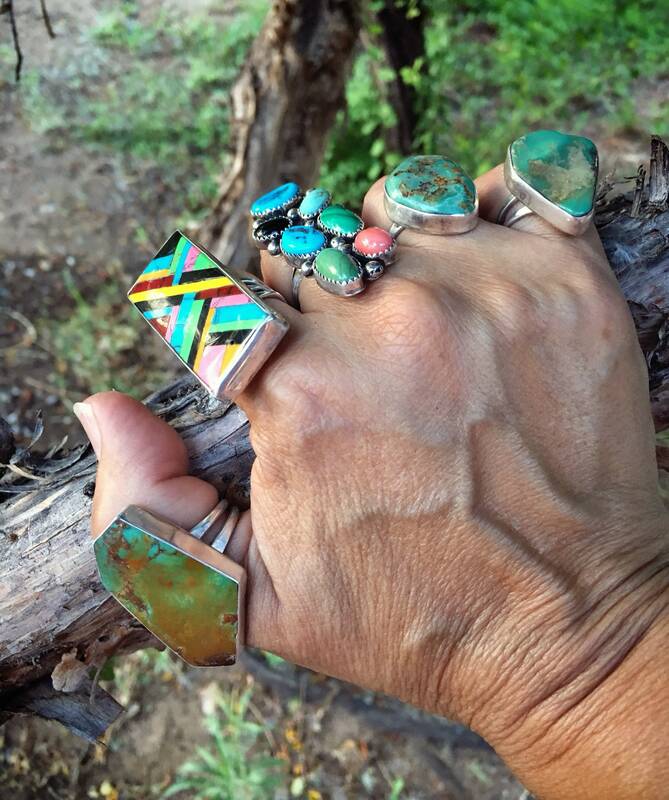 Since the ring carries no hallmark we cannot say for sure that it is Native American; hence, we call it Southwestern. 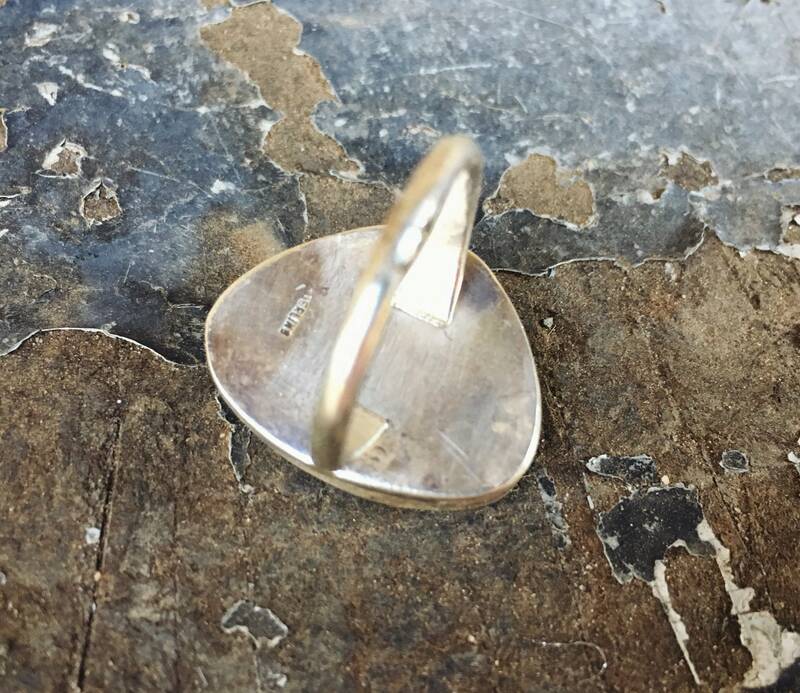 The ring face measures about 1" long by about 3/4" at the widest point, and although I call it a "round" ring the truth is it is "roundish" and not at all perfectly round. 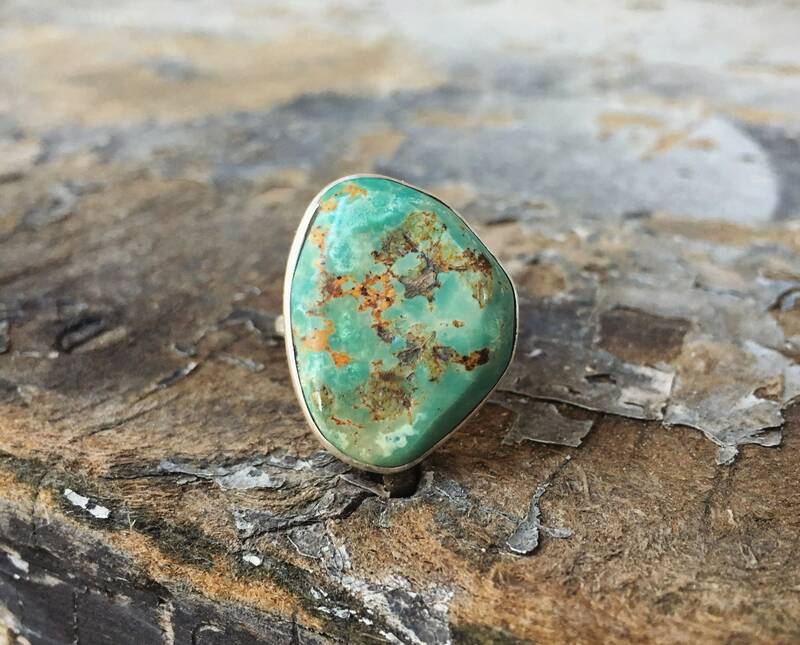 Is a Size 7 yet a great unisex ring that if you want it resized we can do so for $25 extra. Just let us know. 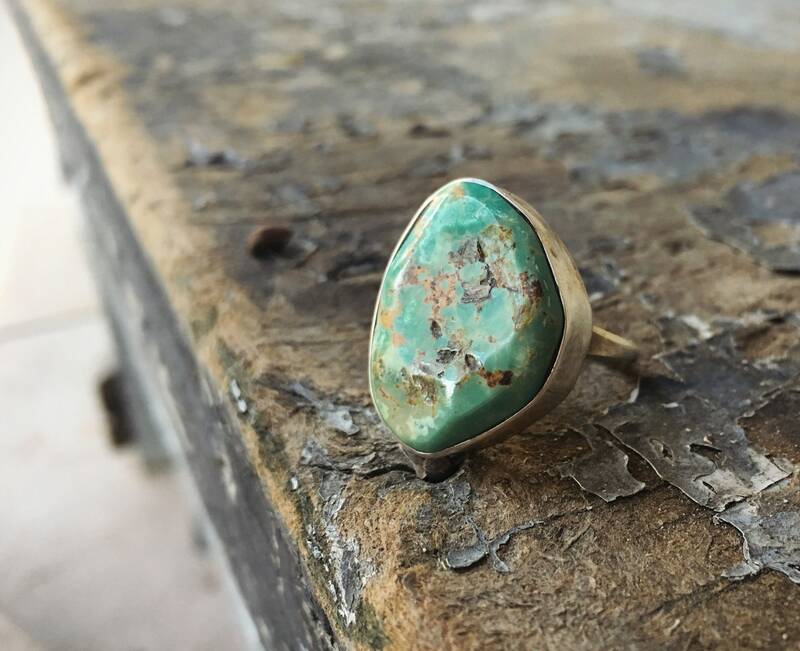 Sits on a simple single shank. 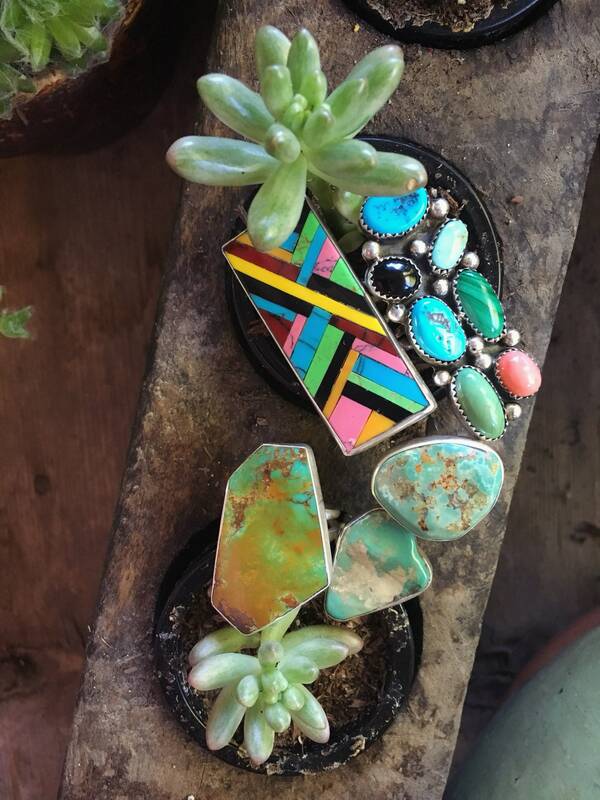 Because simple can be oh-so lovely.